Best suggested way for retailers and shopkeepers to overcome demonetization is by accepting digital payments at your shop or business just by downloading PAYTM App i.e. through PAYTM QR CODE or PAYTM Mobile Wallet. You can instantly start receiving payment by generating the Paytm QR code. The setup is very easy and free of cost. 1. Open the Browser and Visit the below link http://paywithpaytm.com/contactus/in-store-payments/. 2. You will see a form to be filled in English. There is an option to view the form in Hindi as well , Click here for Hindi. 3. Please provide contact information in the form. Fill all the required details in the form like – First Name, Last Name, Mobile Number, Email ID, Business/Outlet Name, Pincode, City, Business Address etc. 4. After that, Click on ‘Submit’ Button. Once the process completes, you will be contacted by Paytm team within 48 hours. 1. Download Paytm app on your smartphone & sign up using your mobile number. 2. After registration you can generate the Paytm QR Code Instantly. 3. Print and Paste your QR Code at your counter. 4. Ask your customers to tap Pay or send button, scan your QR Code, enter amount and Pay. 9. The customer has to enter an OTP. 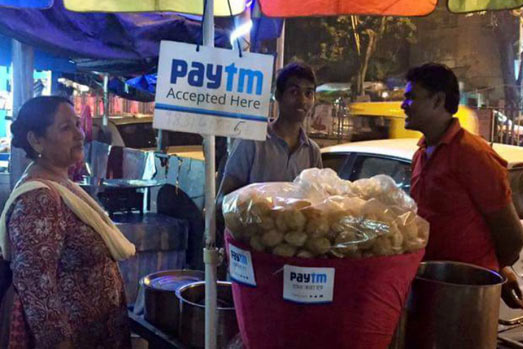 After the customer enters OTP received on his mobile, the money will be added to retailers or shopkeepers Paytm wallet. If you are facing any problem with PAYTM Service, you can contact PAYTM Customer Support. Please post your complaint/query/problem/doubt in the below comment box.